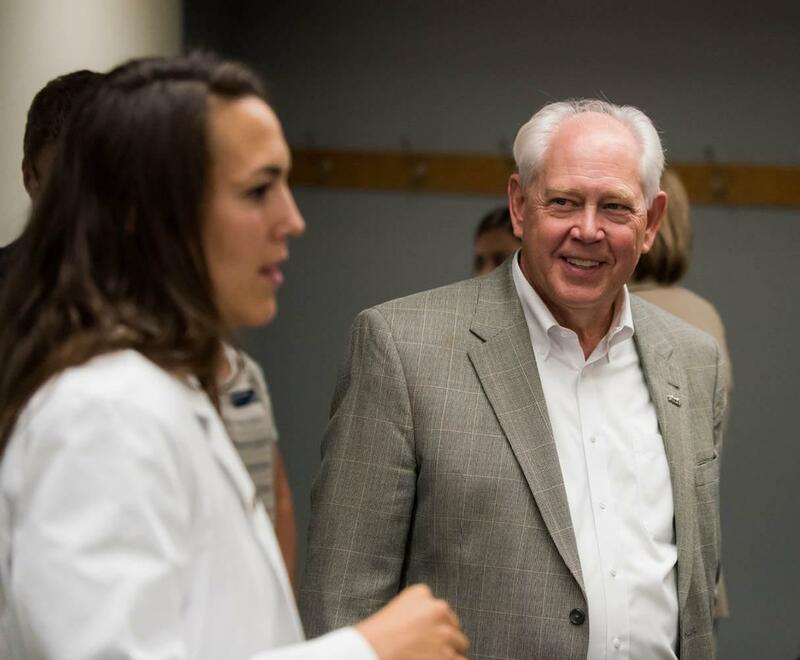 On Thursday, September 29, community leaders from Spokane and Seattle gathered to formally open the doors to the Medical School on Gonzaga's campus. 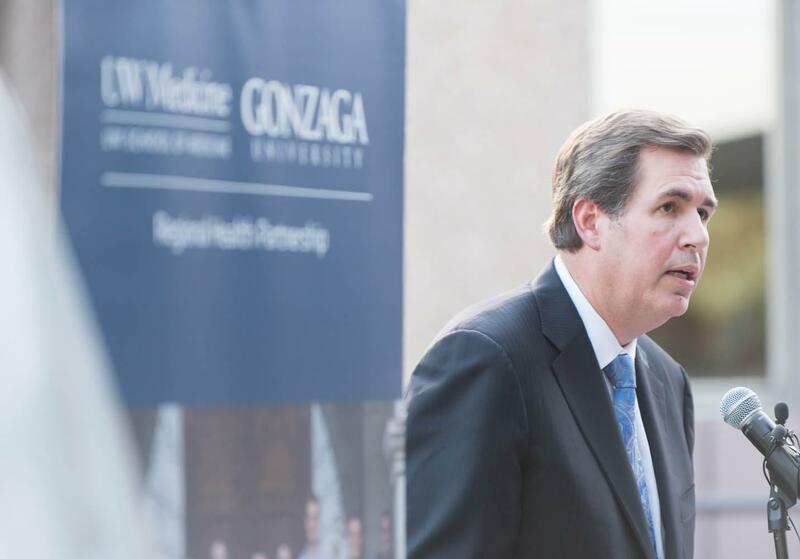 UW's Vice Dean for Academic, Rural and Regional Affairs, Suzanne Allen, student Mara Hazeltine, and Gonzaga's John Sklut and President Thayne McCulloh shared remarks and insights into the impact this partnership is making on our region. Following the remarks, guests were invited into Schoenberg Center for medical student-led tours of the classrooms and lab spaces. For a full gallery of images, click here.